Air New Zealand launched its first ever global brand campaign in Singapore, showing travellers why the airline is A better way to fly to New Zealand. The campaign is led by Pete, a CGI flightless kiwi bird who wants to see the world but is hampered by his inability to fly. 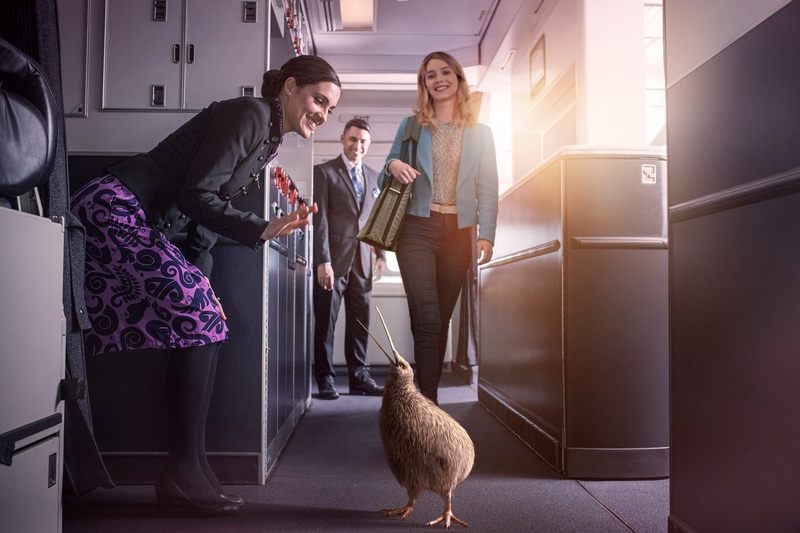 The kiwi bird is New Zealand’s national icon, and Pete takes travellers on an experiential journey to show them the best of Air New Zealand’s in-flight offerings and classic Kiwi hospitality. Air New Zealand’s Head of South & South East Asia Jenni Martin says, “Singapore is amongst the top 10 countries of visitor arrivals to New Zealand and one of our most important markets. As of October 2018, we recorded a seven per cent year-on-year increase in visitor arrivals from Singapore. To meet this growing demand, we announced a capacity increase for our Singapore-Auckland route last year, as well as a new seasonal service between Singapore and Christchurch to start operating from December 2019. To celebrate the global brand campaign in Singapore, Air New Zealand has launched the following tactical fares to New Zealand which are available from 10 January to 4 February 2019 for travel out of Singapore from 23 February to 5 April, 30 April to 30 June and 29 July to 31 October 2019. For those interested in Air New Zealand’s innovative Economy Skycouch™ – a row of three seats that easily converts into a flat surface and is great for families and couples – the following offer is available from 10 January to 4 February 2019 for flights out of Singapore, from 23 February to 5 April, as well as from 30 April to 30 June 2019. *Terms and conditions apply. Visit www.airnewzealand.com.sg for more details. In addition, Air New Zealand is offering travellers the opportunity to win a pair of economy round-trip tickets to Auckland next month. To participate, simply make a guess on five unique New Zealand activities Pete has planned, in the right order. The contest will launch 14 February 2019 and submission for entries will close 28 February 2019. Visit betterwaytofly.airnewzealand.com.sg from 14 February for more information.